Over the weekend, Transformers 4 production continues to film in Pflugerville, Texas area. 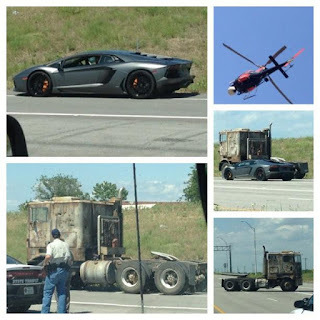 Comicbookmovie and TFW2005 was able to find a few pictures from Instagram that shows the Lamborghini Aventador LP 700-4 Coupe and the rusted G1 duplicate Prime truck filming along a road. 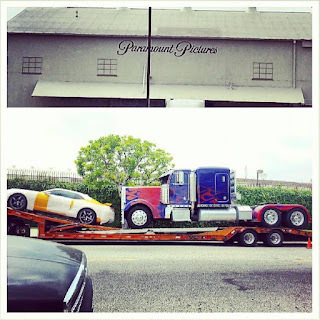 In addition, back in Los Angeles area the TF 1-3 Optimus Prime truck and Bumblebee were spotted on the road. 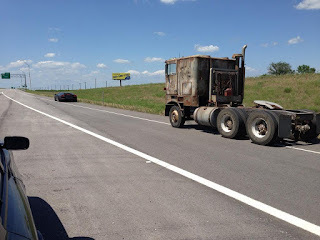 According to MichaelBay.com admin Nelson on TFW2005 forums, those two are on their way to Orlando for the grand opening of Transformers: The Ride on June 20th. MOTORMASTER and BREAKDOWN. 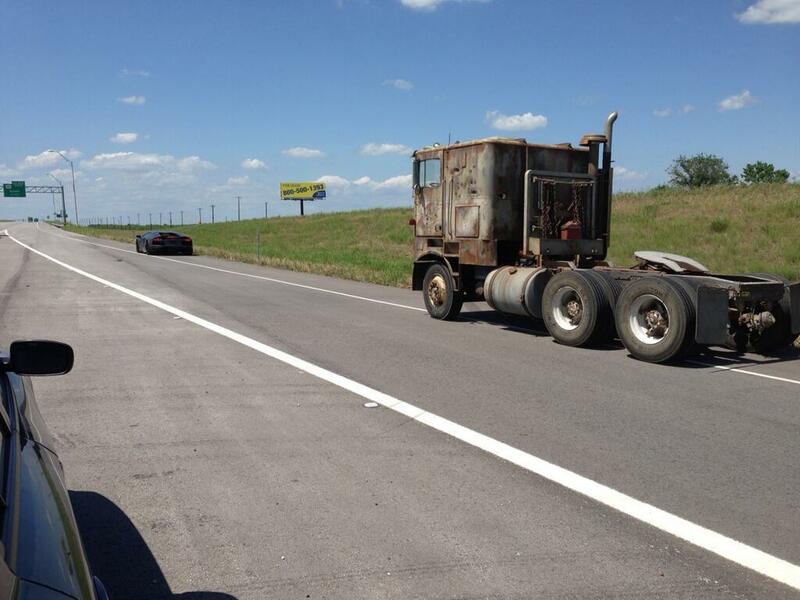 STUNTICONS in the área. 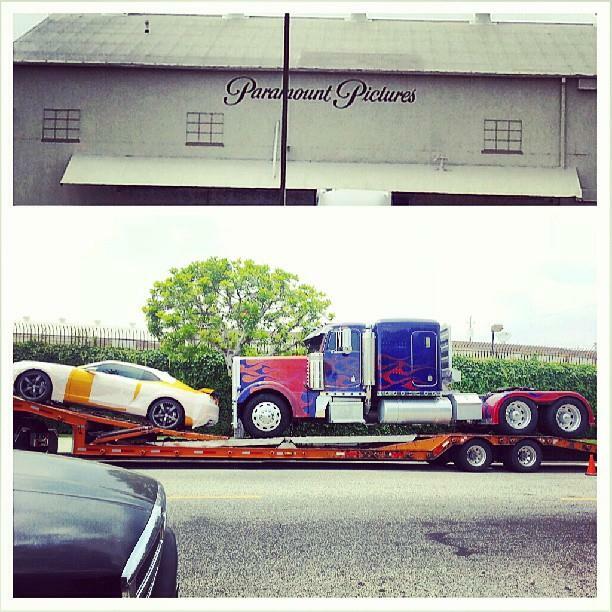 I prefer the peterbilt for optimus prime than that new one, the new one looks worse. 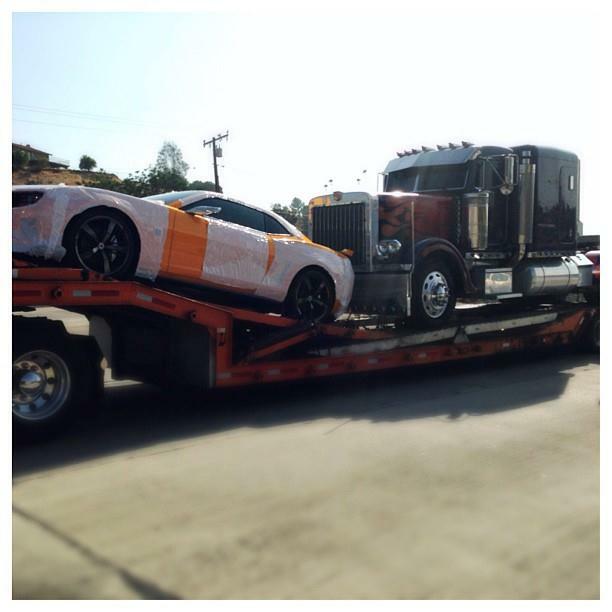 And that new rusty truck if thats megatron again i'm going to be very very mad. a guy on youtube said that the rusted truck could be Grimlock's alt mode and his robot mode would be some sort of Cybertronian animal.